Posted on October 5, 2010 by Akashic Love & Light! With so many delicious desserts to choose from it’s hard to decide what to order. My suggestion-at least 3 creamy tarts and a café con leche. 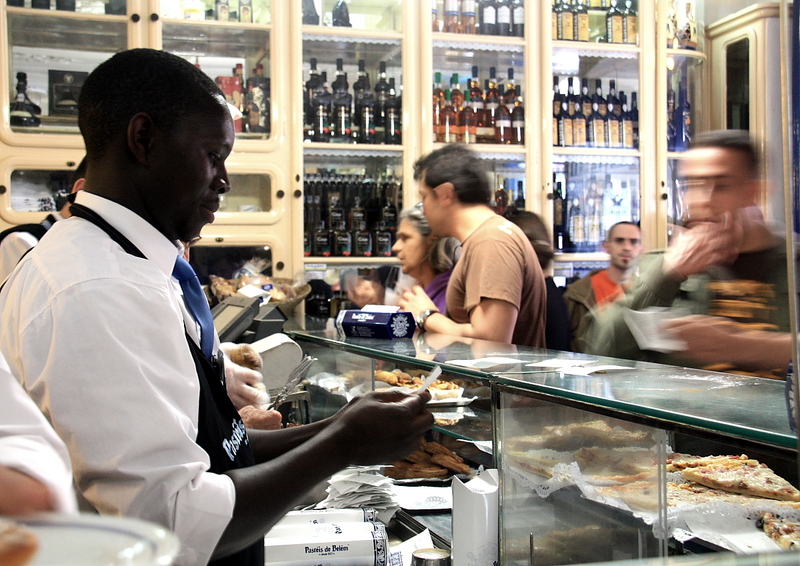 Their seasonal specialties such as such as Belem Marmalade and Pumpkin Jam make great souvenirs to take home. Stop by the pastry viewing area to get an idea how many tarts are pumped out of their kitchen per hour. Literally thousands of these traditional pastries are made daily on site. Pateis de Belem is located in Lisbon’s portside district called Belem. The shop is located on Rue de Belem just 20 minutes by bus or tram from the city center. The store in open late every season to accomodate the hordes of hungry visitors. Winter hours are Monday through Sunday 8:00am to 11:00pm and Summer Monday through Sunday 8:00am to 12:00pm. Definitely worth the trip! This entry was posted in europe, photography, travel and tagged an Old World Pastry Shop. lisbon, belem, Pateis de Belem, portugal, tourism europe, travel. Bookmark the permalink. ← Belem: Magellan was Here! I love pastries! I just want to say your blog has taught me allot. I try to visit every week to see new updates you might have. Thanks and keep up the good work!